Description: The Nordic Sports Center is located at the bottom of Strawberry Park Express Lift. Enjoy McCoy Park's groomed and rustic Cross Country and Snowshoe trails. Description: Offers 30K of groomed cross-country ski & 16Km nature snowshoe trails in wooded spruce forest, destination warming huts, ski instruction & guided adventures, retail shop and full equipment sales/demos/rentals. Description: Nestled in a valley beneath the Elk Mountains, Crested Butte’s Nordic Center is at the heart of three trailheads and unhindered access to some of cross-country skiing’s finest scenery. Description: Enjoy skate and classic cross country skiing, or snowshoeing on groomed trails nestled in the pristine and private Ranch Creek valley at the base of the Continental Divide. Description: The trails start just a few steps past the ski lifts and meander through serene forests, across expansive alpine meadows and past dramatic mountain backdrops. Description: 43Km groomed xc skiing & 18Km dog friendly snowshoe trails with scenic overlooks at the Frisco Adventure Park. Full service retail shop, equipment sales/demos/rentals, and ski lessons & guided adventures for the family! Description: Breckenridge Gold Run Nordic Center is located at the Breckenridge Golf Course, and offers over 25K of groomed classic and skate skiing trails with 10K of snowshoeing trails. Description: Grand Lake Nordic Center has scenic views of Rocky Mountain National Park and a cozy Nordic lodge. The grooming is impeccable, done daily by the Grand Lake Metropolitan Recreation District. 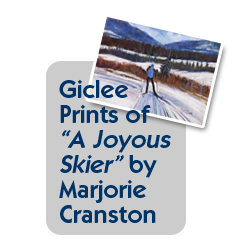 Description: Gunnison Nordic has been setting ski tracks at Hartmam Rock, W Mountain Ranch/Richard Bratton private property, Dos Rios Golf Course, Van Tuyl Ranch and Mill Creek. On average the club keeps 40-45K set for free public use. Description: With 17K of groomed trails and easy access from Hwy 6, Keystone Nordic Center is known for its “Bottomless Bowl” lunches of three different homemade soups and breads. 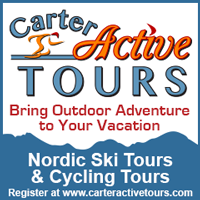 Description: Enjoy Nordic trails from your doorstep with ski-in, ski-out lodging accommodations. Our full-service Nordic Center is the starting point for more than 100km of trails – trails groomed for classic tracks and skate skiing daily. Our trails are fun for the whole family, including dog friendly trails and lit night skiing trails. Description: With trails along Fish Creek, the scenery at this touring center is quintessentially Steamboat. SSTC offers rentals, lessons, a snack bar, retail shop and a masters training program. Description: The Vail Nordic Center offers 17 kilometers of groomed ski trails and 10 kilometers of separate snowshoe trails. All of the trails from the beginning to the advanced have stunning views of the beautiful Gore Range. Description: Vail Resort Nordic School specializes in backcountry snowshoe and cross country tours. Description: Aspen/Snowmass Nordic Council maintains the largest free groomed trail system in North America. 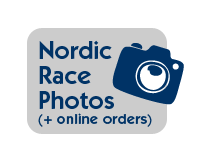 They are a non-profit 501 C3 that oversees their nordic trail system. They are not a nordic center. Description: Grand Mesa Nordic Council grooms 54 kilometers of ski trails on the Skyway, County Line, and Ward Trail Systems on the Grand Mesa providing access to one of the few Nordic ski areas in the United States without trail use fees. They are not a nordic center. Description: Colorado’s Premier Guest Ranch since 1919, Located less than 2 hours from Denver, an authentic Colorado Dude Ranch with luxury amenities and gourmet dining. 15 miles of cross-country trails and acres of private powder. Description:A timeless world away from the condos and crowds Colorado cross country skiing is at its absolute best. Our Relais & Chateaux ski lodge, a short drive from Steamboat Ski Area, is home to exemplary cuisine and 30 km of exceptional Nordic Skiing and Snowshoeing right outside our front door. Description: Slip into another world at Latigo Ranch, where the serenity and warm hospitality will help you relax and rejuvenate your soul. 60K of machine-groomed trails … you won’t want to leave. Description: Located just north of Steamboat, Vista Verde Ranch offers loads of winter activities inside and outside – cross-country skiing, sledding and even cooking classes! Description: Cross country ski on 60K of groomed trails for both classic style and skate ski if the trail size permits. No ski rental on site. Warm up area and restrooms open to day visitors. Snowshoe trails and rentals available.